Jumping in muddy puddles and getting very muddy and wet, one of Noah's favourite things to do. A child's right of passage, that's for sure! I can't wait until Ava is walking and then they can both splash about in the puddles together. 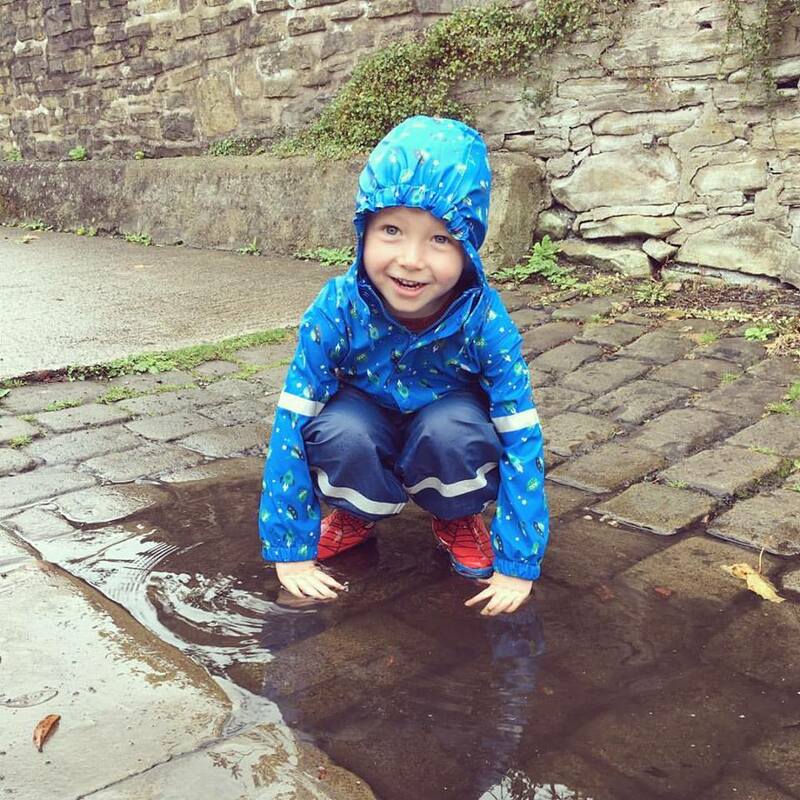 Puddle stomping is the best! Love his rain coat! That's the kind if fun my daughter will have ☺. Lovely photo. Splashing in puddles is, according to my partner, a life-long joy, especially since he has mastered the art of soaking everyone whilst he stays dry! What a beautiful, fun photo!